Supported by a local Friend chapter, Reed Bingham boasts abundant wildlife, including species such as gopher tortoises, spotted turtles, limpkins, indigo snakes and nesting bald eagles. American alligators are often seen sunning along the lake’s edge. During winter, thousands of “buzzards,” actually black vultures and turkey vultures, roost in the trees and soar overhead. Nearly 80 percent of the Coastal Plain’s plant community can be found along the park’s Coastal Plain Nature Trail, making this park’s habitat some of the most diverse in the country. A 375-acre lake is popular with boaters and skiers, and fishing for bass, crappie, catfish and bream is excellent. Paddlers can rent canoes and kayaks to explore this beautiful lake lined with fragrant water lilies and tupelo trees. Guided pontoon boat tours are sometimes offered during events. The beachside pavilion, picnic shelters and group shelters are scenic spots for parties, reunions and other celebrations. 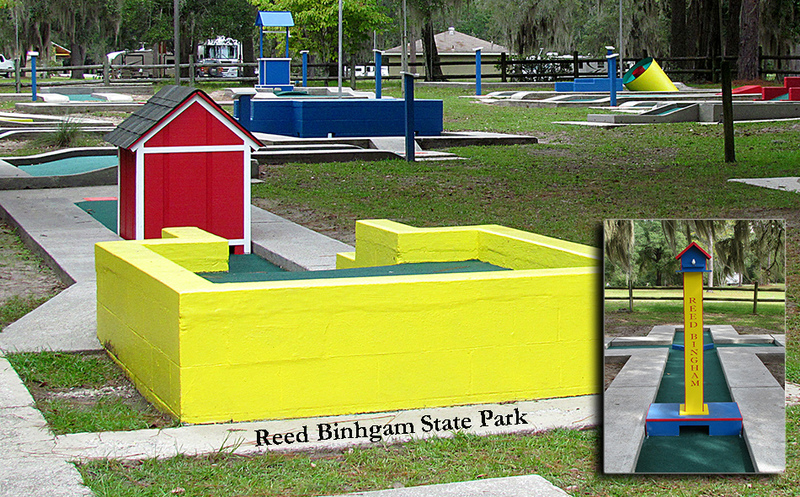 Reed Bingham is less than six miles from I-75, making it a relaxing stop for travelers. It was named for Amos Reed Bingham who was instrumental in having the park established. For a full listing of events and information about Reed Bingham State Park Historic Park visit the Georgia State Parks page.